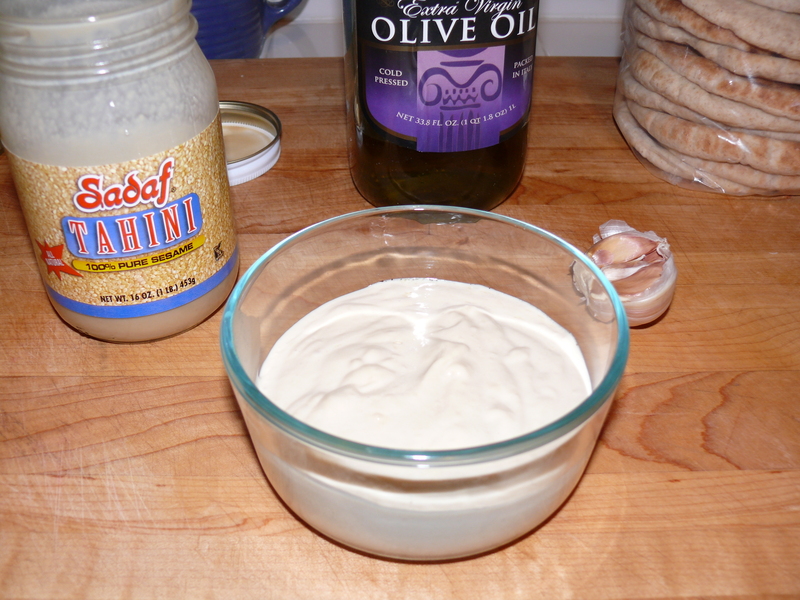 I finally got some tahini from the Jewish market down the street and made my own tahini sauce. It was fantastic! I love the Tahini Sauce at Trader Joe’s, but it doesn’t last too long. Since tahini lasts a long time in the cupboard and I always have the other ingredients on hand, I can make this at a moments notice. Here is the recipe I used. I just left out the parsley because we didn’t have any. 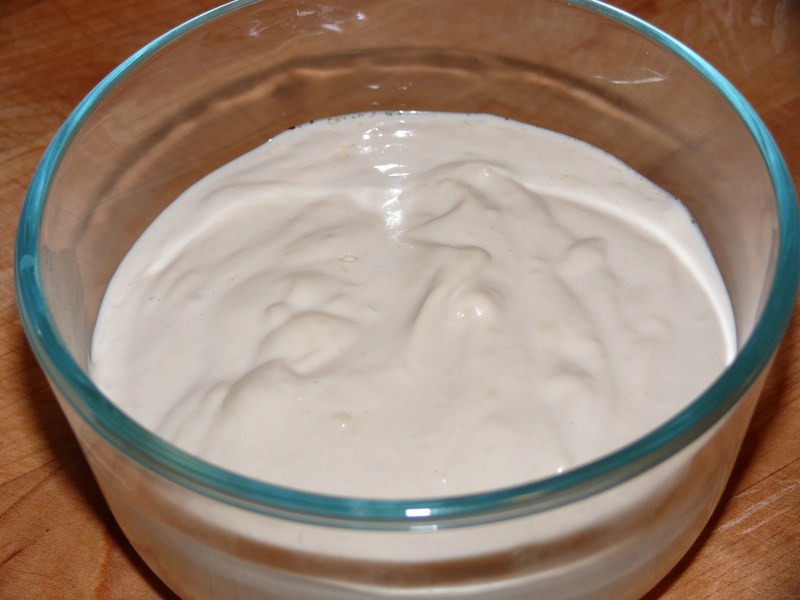 Tahini can also be made right from sesame seeds, but jarred tahini is super smooth because the seeds have been hulled so I like to use it instead! Throw all into a food processor with a little water and process until nice and smooth.